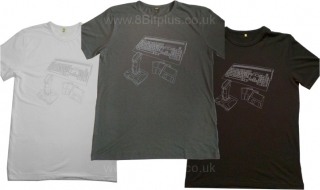 A good friend of mine has designed and produced a set of Amiga retro styled T-Shirts. They are available in 4 sizes: Small, Medium, Large and Extra Large. Colour options: Black, White and Grey. All designs are original and are Silk Screened printed on to high quality cotton/bamboo blended material. This material gives a high quality feel that’s breathable and very comfortable. Available now on eBay Here. Ever heard of Sonic 3 Complete? 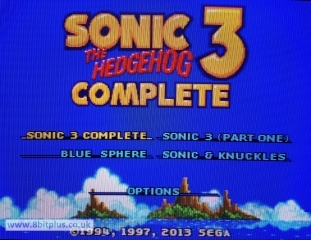 Its a combination Sonic 3 and Sonic & Knuckles with loads of additions, tweaks and fixes. 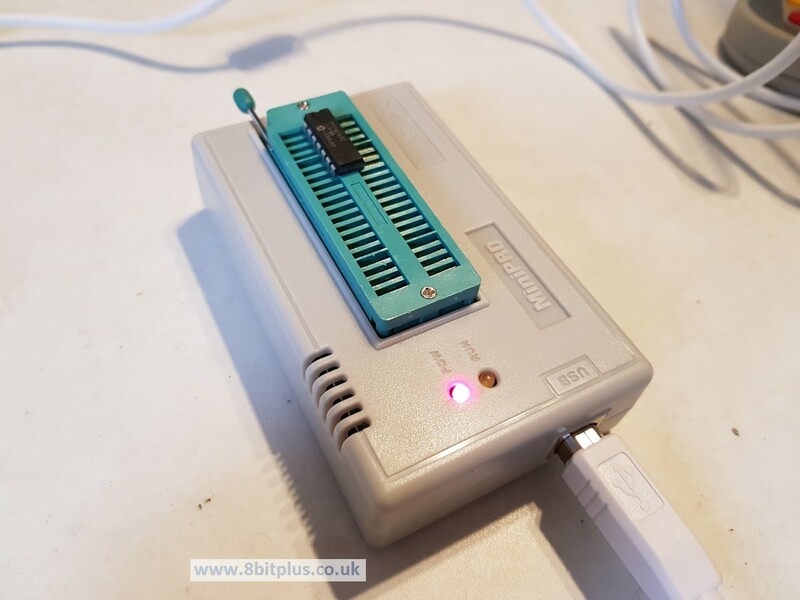 I’ve just got this working by programming a new EPROM and installing in a donor PCB. Click here or the above images to see how this little project was done. Just finished with another installation of the Unibios on a AES system. 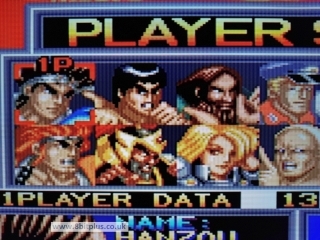 Along with the Universe Bios install, I was asked to resolve the Jailbar lines in the RGB video, and correct the flipped stereo signal from the headphone port. 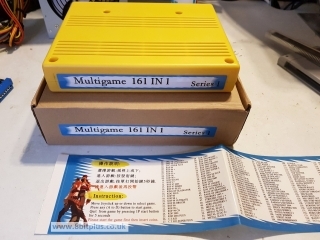 This is one neat AES console now. 8Bitplus had teamed up with Razoola from the Universe Bios (Unibios) project for Neo-Geo as an Official 3rd Party installer. 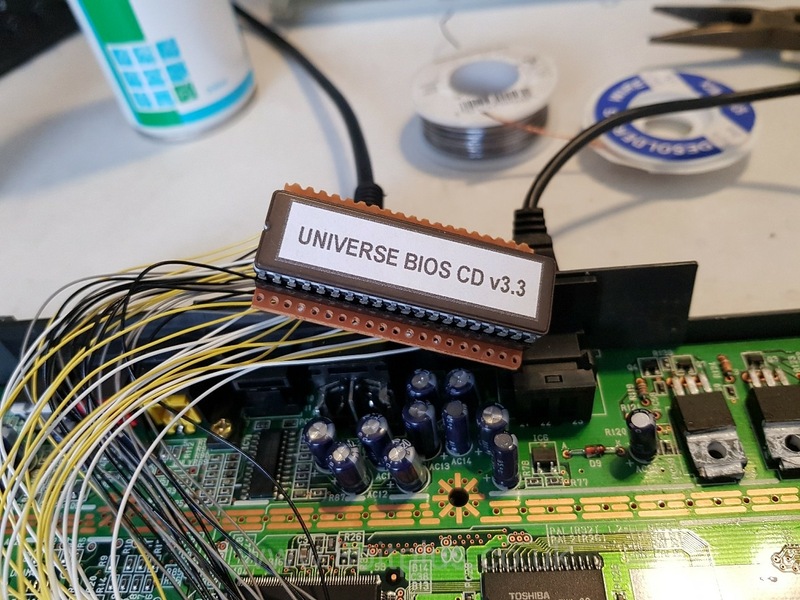 I can now provide and install the official Unibios chip when you send your system to me. 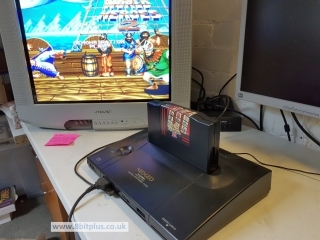 This covers the full MVS range, AES and CD systems. All installations by myself are fully tested and completed to a high standard. 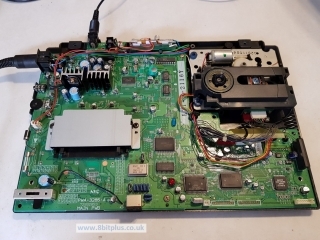 What can the UniBios do for your Neo-Geo? 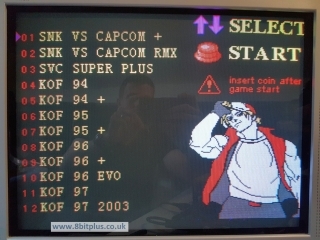 Switch between AES and MVS game play types. Full host of developer and debug options. 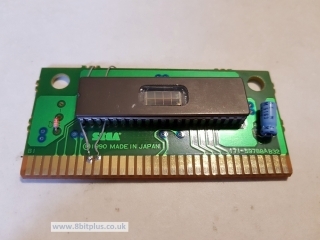 Soft rebooting on MVS boards. Cheat database for each game. 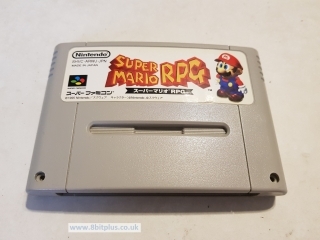 Memory, save game and high score management. Loads more, See full feature list here. 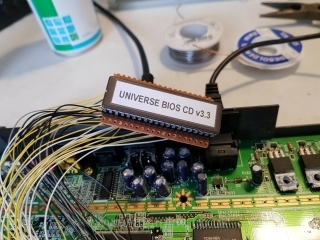 Please note I only provide the Universe Bios when installing. I don’t offer them for sale individually. 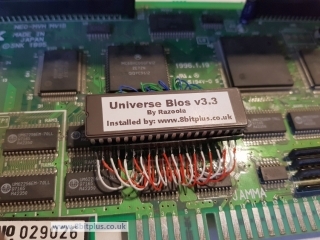 If you have a Neo-Geo and would like an Official Universe Bios installing, please contact me here. 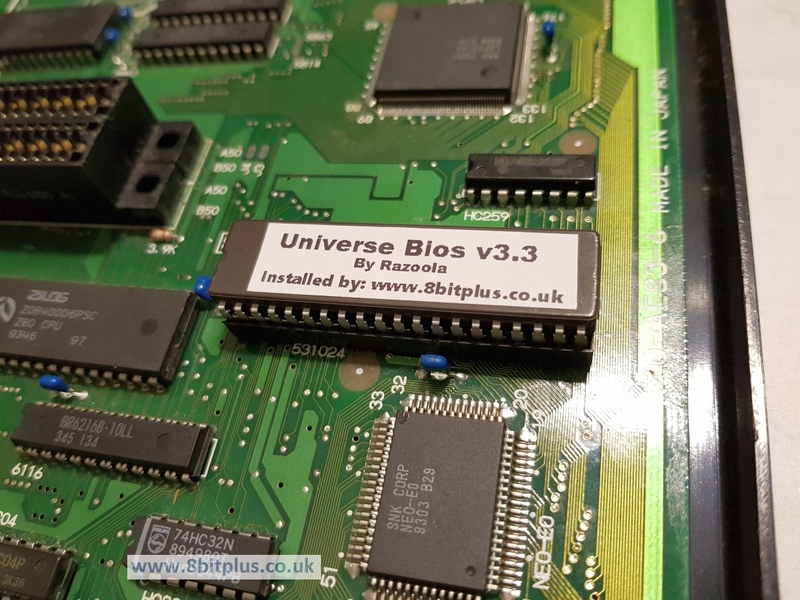 Also, please checkout some of my latest Unibios installations. 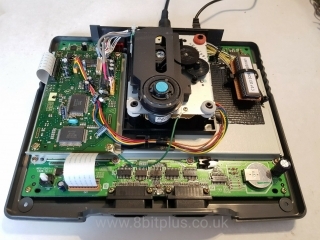 My latest commission job, Install a UniBios chip in a Neo-Geo CDZ console. Its a very tricky job. Click the image to check out this install. I just got my first Universal Programmer last week, and thought for a test run I’d make a SuperCIC ship for my SNES. All that’s needed is a PIC16F630 and the Lock code from the developers site. All credit to Ikari_01 for the time and skills to reverse engineer the Nintendo CIC Lockout device. 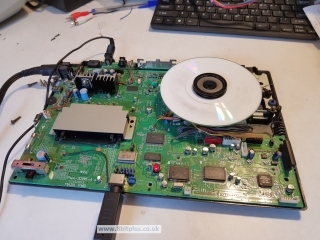 So this mod allows me to remove my existing 50/60hz and CIC disabling switches. Its a fully switchless mod using the reset button to change modes. 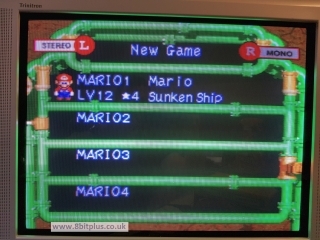 SuperCIC also allows full compatibility between PAL and NTSC games and behaves just as either of the original CIC chips. 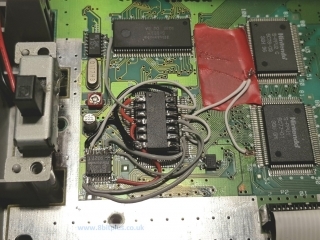 Expect more BIOS and EPROM programming projects to feature here soon…. Take a look at some of the jobs I’ve been working on recently. Another PCE Duo to re-cap and fix sound. 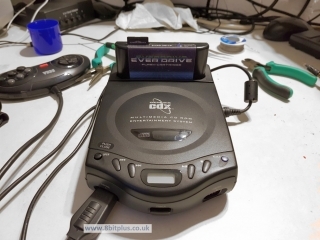 Nomad re-cap and speaker upgrade and Sega CDX re-cap. Finished with my latest commission work. 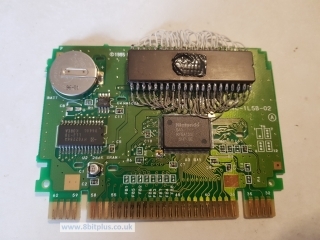 A PC Engine Duo was sent in for a full service, board re-cap, RGB Amp and dual region mod. Take a look how it turned out. Click the image or here. 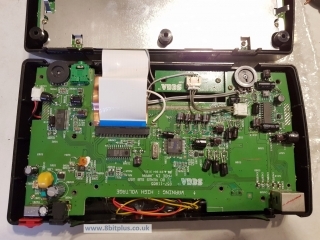 If you have any console that needs repairs, capacitor replacement or upgrades, please get in contact here.